Want to bring more personal style into your mobile browser? 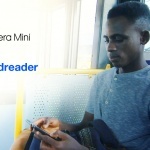 Do that with Opera Mini! Let me tell you more about its custom themes and other personalization options. A great way to customize your browser is with color themes! Choose your favorite color to make it visible over Opera Mini’s top bar, “data savings” menu and tabs area background. 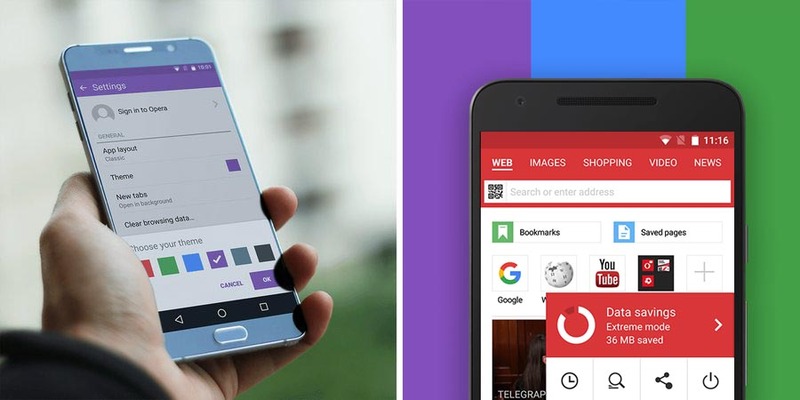 If it’s your first time installing Opera Mini on your Android phone then you will be prompted to choose your preferred color scheme. On the other hand, if you already have the latest version of this ad blocking mobile browser, change its color in “settings” under the “O” menu, tap “theme” and select a different color scheme from the palette. 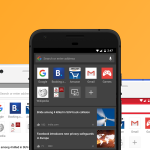 There’s a great chance that this data-saving mobile browser speaks the same language as you! The Opera Mini user interface language is set according to the language on your device. But, you can easily change it in the settings menu. 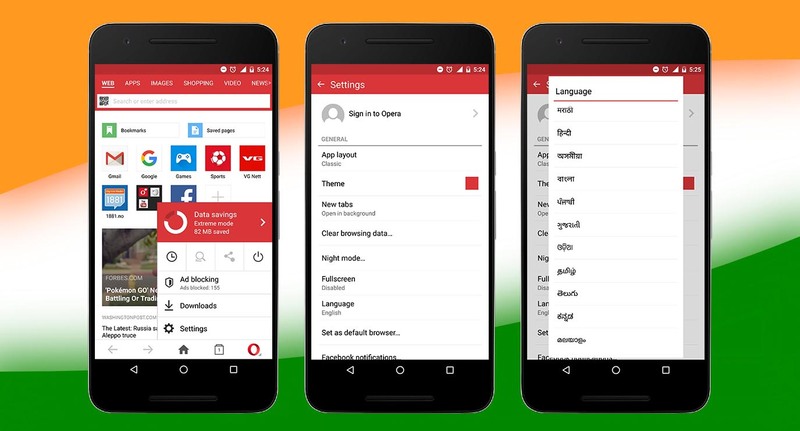 Choose from the list of 90 languages, including 13 Indian languages: Assamese, Bengali, Gujarati, Hindi, Kannada, Kashmiri, Malayalam, Marathi, Oriya, Punjabi, Tamil, Telugu and Urdu languages have been preinstalled in Opera Mini. 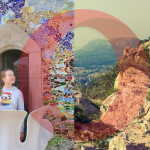 We just took how to personalize your browser to a whole new level. Choose the way in which you want your Opera Mini to be displayed! Go to Settings under the “O” menu, and tap on “App layout”. Which of these features do you like most? Have you uploaded a custom theme yet?